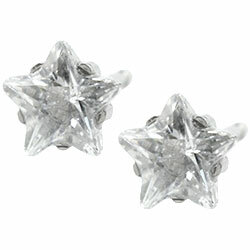 Studex Sensitive 5mm white Cubic Zirconia star crystals set in hypoallergenic surgical steel stud earrings with surgical steel butterfly backs. Gorgeous little earrings. Perfect for everyday use. Very pleased! 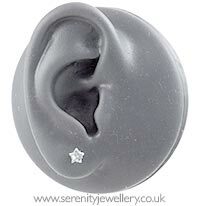 I have three piercing in each ear and wanted something small and elegant but different to the other piercing I had. These were exactly what I wanted. very pleased! Fabulous earrings, sorted out infected ears, 4 months after piercing. A little difficult to get butterfly on off for children but at least earrings are secure once in place!